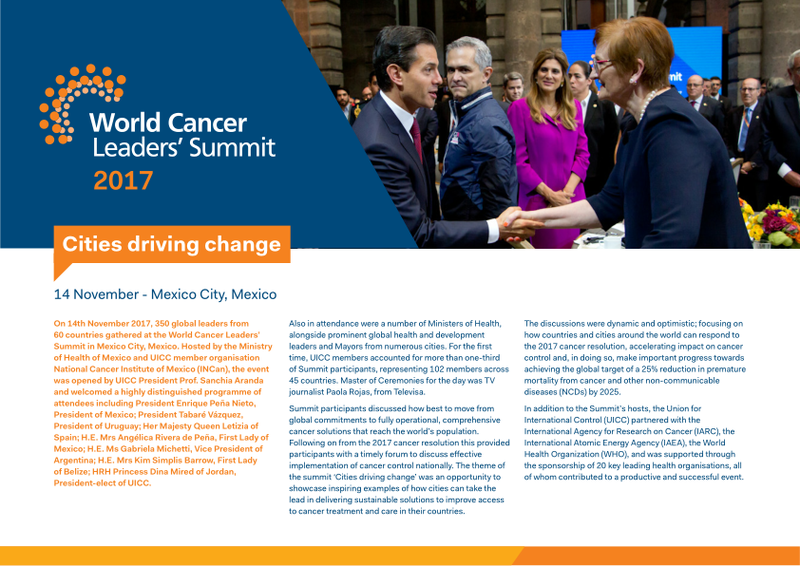 The 2017 World Cancer Leaders' Summit was hosted by the National Cancer Institute of Mexico (INCan), and convened 350 global cancer and public health leaders to discuss ways and solutions to transform cities commitments in cancer prevention and care into further national action by 2025. 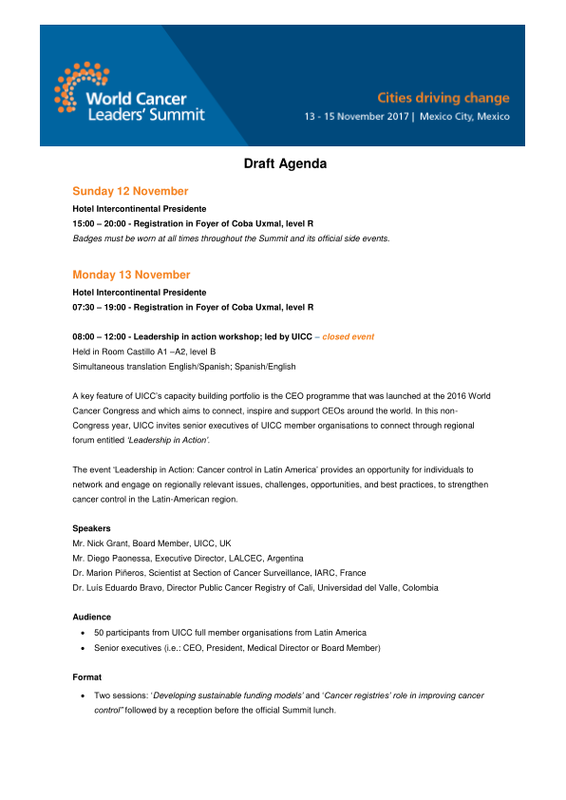 As an immediate outcome of the event, the National Cancer Institute of Mexico has officially been appointed to coordinate the development and implementation of a sustainable national cancer control plan. The Summit also gained wide media coverage across all Latin America and part of Europe and Africa . 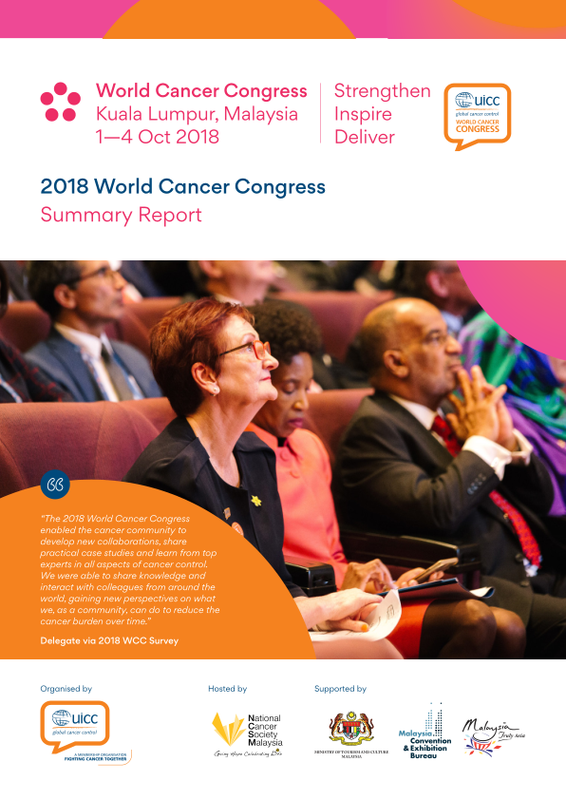 824 articles were published, raising the profile of cancer worldwide while 8,605 tweets with a potential reach of 36.1 million users were shared. 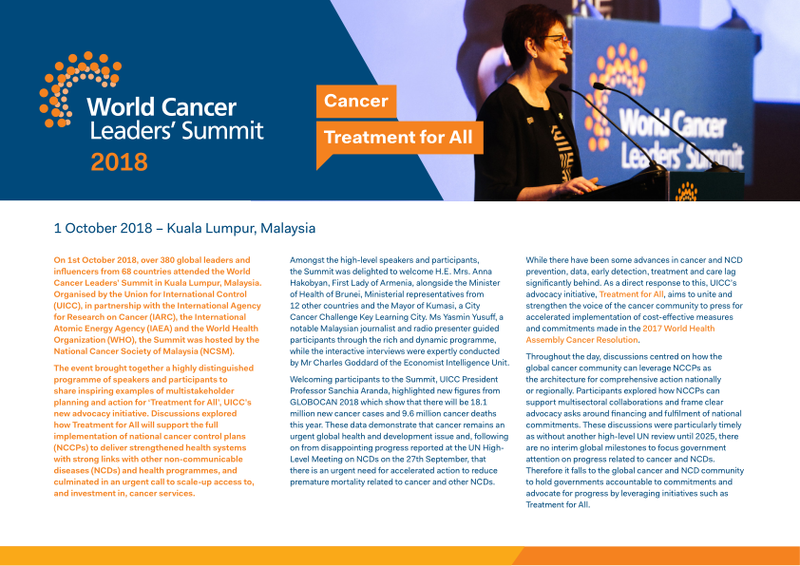 We are pleased to share the 2017 Summit report here below as well as the photos of the event. Please also watch the videos of the Summit day, including the keynote addresses of the President of Mexico Enrique Peña Nieto, the President of Uruguay Tabaré Vázquez, Her Majesty Queen Letizia of Spain, HE Mrs Gabriela Michetti, Vice President of Argentina and other leaders.